Differences Between iPad mini and iPad! 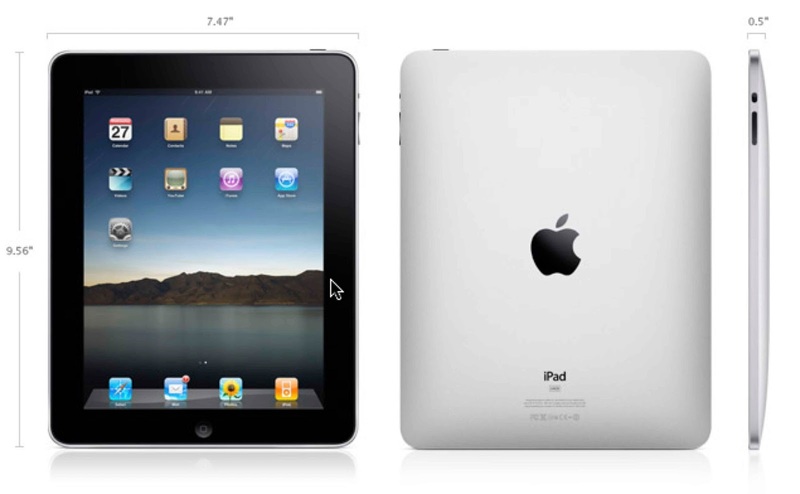 You may think that iPad Mini is just a smaller version of iPad but there are many differences in the two. You should know about these differences before a iPad Mini. iPad Mini is not exactly like an iPad but still it is an amazing thing. It costs much less than the real iPad. You can afford it easily. The size of Mini iPad is much smaller than the original iPad. 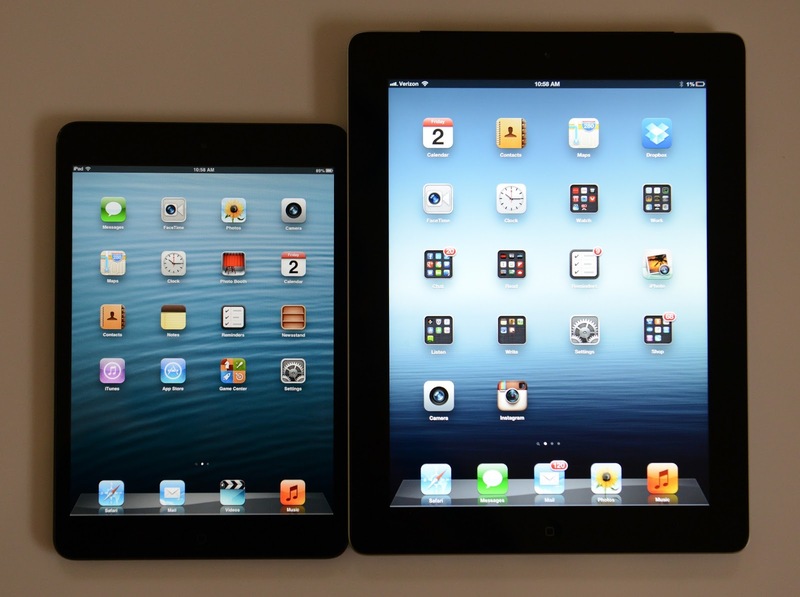 The iPad Mini has a size of 7.87 * 5.3 inches while the iPad has a size of 9.5 * 7.31 inches. This creates a great difference. iPad Mini is much thinner than the iPad. This makes it cute and nice. It has a thickness of 0.28 inches while iPad has a thickness of 0.37 inches. The weight of iPad Mini is also effectively less than iPad. 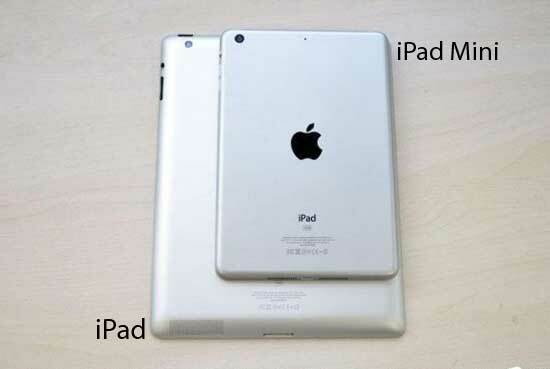 iPad has almost double weight than iPad Mini. The display of iPad is bigger than iPad Mini. But it makes it easy to type on it. iPad Mini has a slower processor than iPad. It has a A5 processor while iPad has Dual-core A6X. The SIM of iPad Mini is much smaller than iPad so you can't use the same SIM in both. iPad has no feature of Retina display. The resolution of iPad Mini is not as much high as iPad but still it is high enough to get you a full view of the websites. 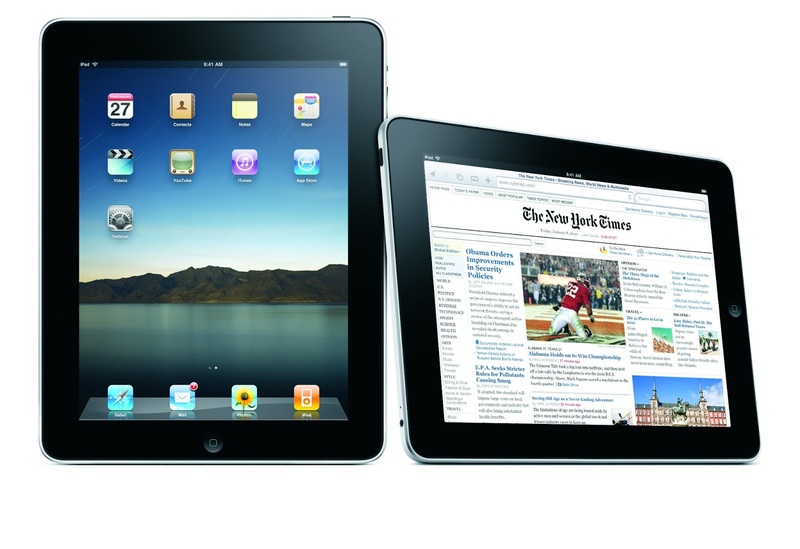 BloggingeHow | Making Blogging Simpler: Differences Between iPad mini and iPad!